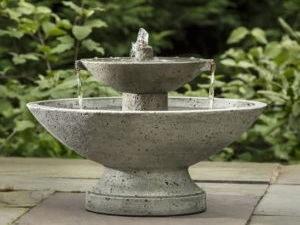 Atlantic Gardening Company offers a large selection of high-quality garden accent pieces, such as statuary, fountains, and birdbaths. You can expect this curated selection to change regularly, as we are always seeking unique and new pieces. However, you can always expect to find a delightful assortment of animals, Asian accents, mythological and religious statuary in different finishes, as well as pot fountains, tiered fountains, and birdbaths for any style garden. If there is something particular you are looking for, don’t hesitate to ask! We love to help our customers find just the right piece for their gardens when possible.